The last book I read in the Journey to the Force Awakens “character trilogy” (unofficial name I made up) is Moving Target. A Leia adventure involving a small group mission with a cool cast of characters that I enjoyed quite a bit. I really like the theme of duty and how Leia must balance her responsibilities with her personal wishes. The bookend formula here involves a soon-to-be familiar droid asking Leia about her memoirs. Reluctantly she decides to tell a story about duty. This is the only book out of the three character stories that takes place between The Empire Strikes Back and Return of the Jedi. It’s a really interesting place to be especially for Leia in particular. Her loss of Han Solo is very fresh in her mind and is a great storytelling tool in her showing her dedication to the rebellion and her strong sense of duty. The opening scene of the story involves an imperial ambush on her fleet in which she is forced to escape and leave a transport behind. The guilt she seems to feel while still understanding that the entire fleet’s mission is to protect her is a wonderful and complicated juxtaposition of her feeling and her duty. If she stays and helps those in need like she wishes, the mission of protecting her is closer to failure. If she leaves her fellow rebels and escapes, their sacrifice succeeds. Tough choices for our favorite princess right away and a sad look into what her life must be like. Nien Nunb!! My favorite Sullustan is back along with his trusty ship The Mellcrawler! I’m happy Nien keeps showing up and he’s quickly becoming one of my favorite minor characters that I’m super excited is getting some cool development. We briefly see Emaat at a Rebel meeting with some other familiar faces but it doesn’t really give us much of his character in this story. The mission of this story revolves around Leia taking a small group on a recruiting mission along some outer rim systems that is actually meant to draw imperial attention away from the actual fleet gathering at Sullust to attack the incomplete Death Star II. As you can imagine it’s a very tough place for Leia to be. It’s a mission that puts some of her fellow rebels, herself included, at risk while at the same time possibly ensuring the fleet operations at Sullust remain hidden from imperial attention. I like that a lot of attention is given to Leia both with the idea of putting people at risk and the greater goal of destroying the Death Star II. We get to meet Lokmarcha, Kidi, and Antrot as well. Lokmarcha is the commando assigned to protect Leia who is a very battle hardened dresselian (Prune-Face) dude. Kidi is the naive cerean comm officer. Antrot is the socially awkward Abednebo. They all interact in fun ways and together with Leia and Nien everyone comes together in a sort of ragtag party group thingie…. I liked it, it felt like something in between the Ghost crew and the Rogue One image. The interactions are the most enjoyable part of this book. I noticed one reference Lokmarcha said about the guerrillas who started this rebellion before it became an alliance by getting their hands dirty. I wonder how much of this background we could possibly see in the future of Rebels…. A few stops on Basteel, Sesid, Jaresh, and Galaan have lots of great adventure and action beats. At one point the team is scaling a vertical shaft and are attacked by biting worms, on another planet being captured by pirates, and they even meet an old kyuzo who they join in defying the empire. There’s a point on a vacation planet where Lok states that the people are not ready to survive the hardships of the war. Kidi then points out that is the very reason they fight, so others can know peace. It’s a very sobering moment not only for Leia on her personal journey but for all of us who see these stories and hope our favorite characters can find some peace in that galaxy far, far away. Leia eventually takes control of the mission in a very Leia fashion delivering a speech to many would be rebels that inspires them to join the fight and rescuing Leia who has been captured once again. 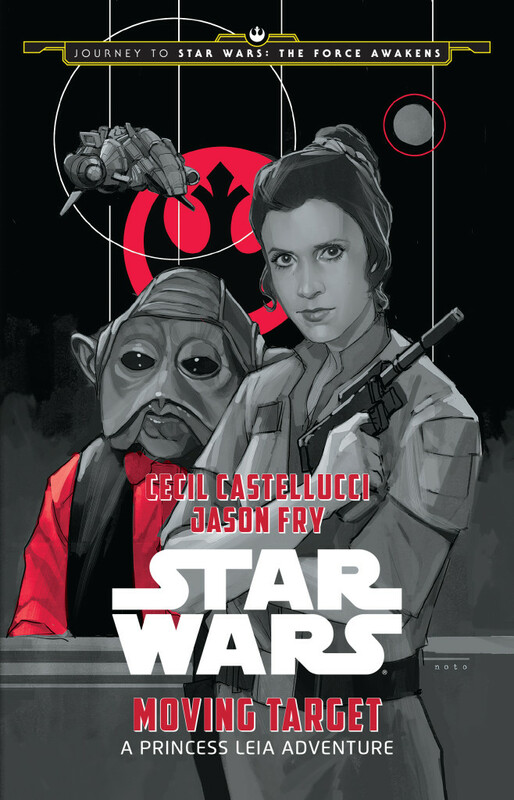 This definitely feels a touch familiar after the Princess Leia comic but is still well told and unfolds beautifully. Leia’s speeches are always so well written and inspiring that it really is one of the best things about her character. The post bookend has a conversation with Emaat and Leia that involves the mission on Jakku and feels like it ties into the beginning of The Force Awakens so I’m interested to see exactly how. All things said great story and characters in this book. It feels a bit similar to the Princess Leia comic but the story moves along in a wonderful way and the characters jump off the page and are really cool to see. I think this may be my favorite of the three main character stories.